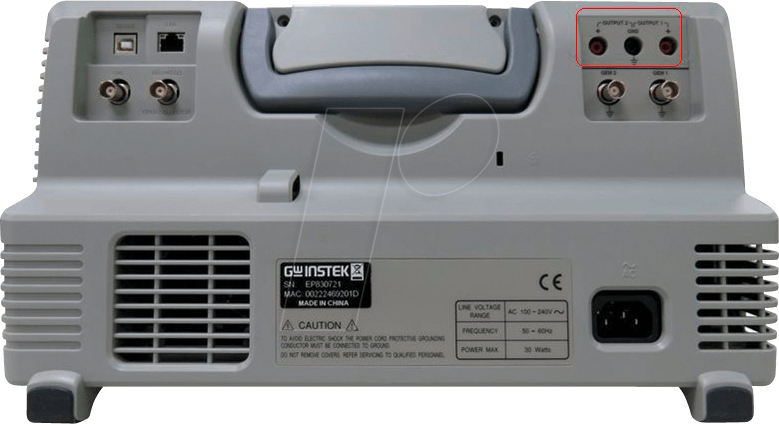 MDO-2000E series by GW-Instek: One oscilloscope, two domains. The MDO-2000E series is multi-functional mixed domain oscilloscope. 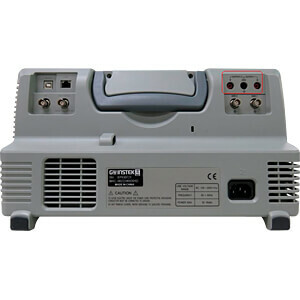 The series includes two feature combinations : MDO-2000EG and MDO-2000EX. MDO-2000EG models have a built-in spectrum analyzer and a dual channel 25 MHz arbitrary waveform generator and MDO-2000EX models feature a built-in a spectrum analyzer, arbitrary waveform generator, a 5.000 count DMM, and a 5 V / 1 A power supply. 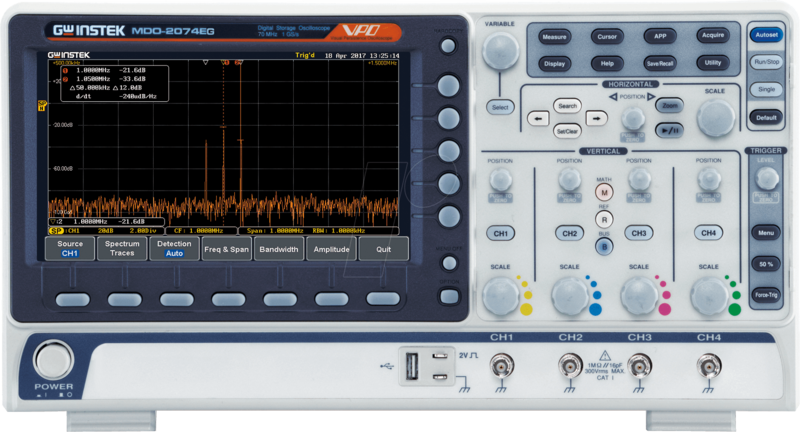 The first of its kind, MDO-2000EX is the only oscilloscope to equip with a DMM and a power supply in the T&M industry. MDO-2000EG equips with a spectrum analyzer and a dual channel 25MHz AWG. 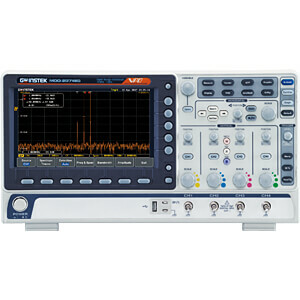 MDO-2000EX equips with a spectrum analyzer ; a dual channel 25MHz AWG; DMM and power supply.